October is a great month in South Dakota. 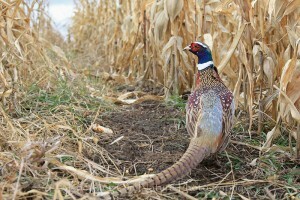 The first reason is because it’s harvest time and second is because of the pheasant opener. Those farmers combining their corn are also conservationists who care for their land and provide natural habitat for the pheasants and other wildlife in South Dakota. There’s nothing more enjoyable than flushing a pheasant or watching the deer run through the fields and pastures in the fall so take time to get outdoors and enjoy the beauty that our state has to offer. Also, mark your calendars for this year’s annual meeting on Saturday, January 7, 2012. This entry was posted in Corn Comments Podcast and tagged corn, farmers, habitat, pheasants, South Dakota, Wildlife. ← Modifying RFS would be a step backwards for U.S.